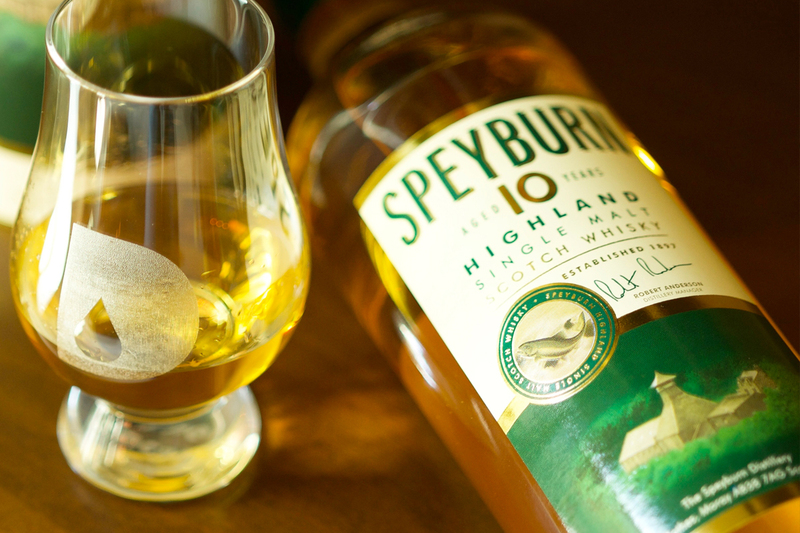 Straddling a verdant river valley of northeastern Scotland, Speyside is a region synonymous with exceptional single malt. But as singularly renowned as the scotch is (or perhaps, because of it), the local liquid is hardly ever associated with quality cocktails. It’s an unfortunate oversight. One that modern mixology is working to correct. But one of the main drivers behind a contemporary craft is seeking out flavors and combinations tailored to specific palates. So it was inevitable that bartenders would start catering to those who aren’t afraid to explore the blending potential of robust liquors, such as single malt. The trick is, to find ways in which to magnify and complement its deep complexities, rather than drowning them out in the mix—otherwise, what’s the point? Combining scotch and soda has been around for ages, but it’s generally built around a blended whisky, which has an easier, lighter body, thanks to the addition of grain whisky. Single malt, by contrast, is all malted barley, all copper pot distillate. Deep, dark and mysterious—the same elements marking it as so compelling in the dram, befuddle its balance alongside modifiers. Luckily, a good bartender is always up for a challenge. Delanoy sets the bar high in employing The Macallan as his malt of choice. Throwing the world’s preeminent premium scotch into a shaker is heresy to some, but to Delanoy, the brand’s sherried, dark fruit components are just what the doctor ordered. To that end, consider the cask in which your scotch rested. The most common casks used, ex-bourbon, sits well against vanilla, cinnamon, and even ginger notes. Speyburn 10 Year and Glenlivet Founder’s Reserve are flexible gems, substituting seamlessly into a Manhattan or Boulevardier variation. Care to elaborate? Delanoy shares these two examples of Speyside elegance in cocktail form. Forget the stigma and get to stirring! Stirred, served in a large ice cube, garnished with an orange twist. Stir all ingredients with ice. Serve in a rocks glass with an ice ball. Express orange and lemon oils from peel. 8% Concentration of citric acid in filtered tap water, infused with the skins of lemons and oranges. Ready to find the perfect single malt for your cocktails?